WTW-LS 20, a portable, mobile dual axis Autotracking Antenna with C-Band or X-Band Option (WTW-LSC 20 or WTW-LSX 20 Tri-Band). 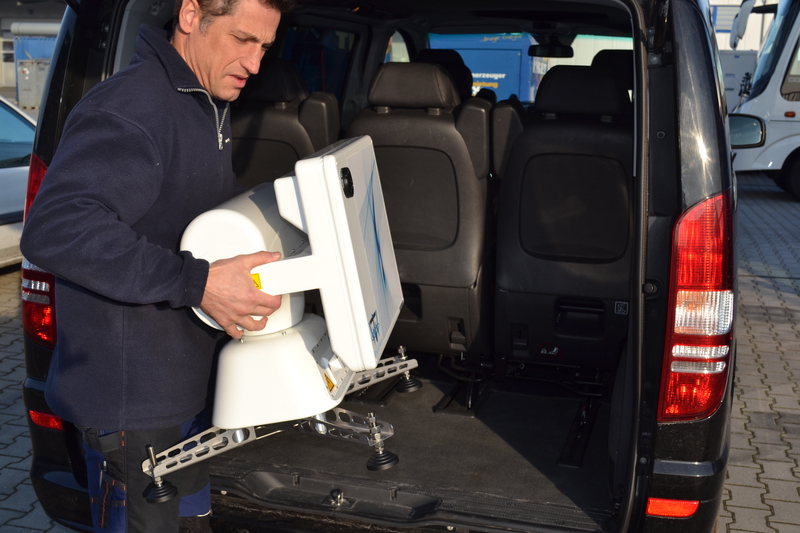 Also the following Systems are availible: , WTW-CX 20, WTW-C 20 or WTW-X 20. 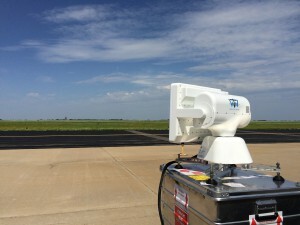 This portable light weight Telemetry Autotracking Antenna for mobile und stationary applications is perfect for drone (UAV), missile and general flight tests. Our WTW-LSC 20 or WTW-LSX 20 Tri-Band Autotracking Antenna is the perfect mobile solution to be C-Band ready. 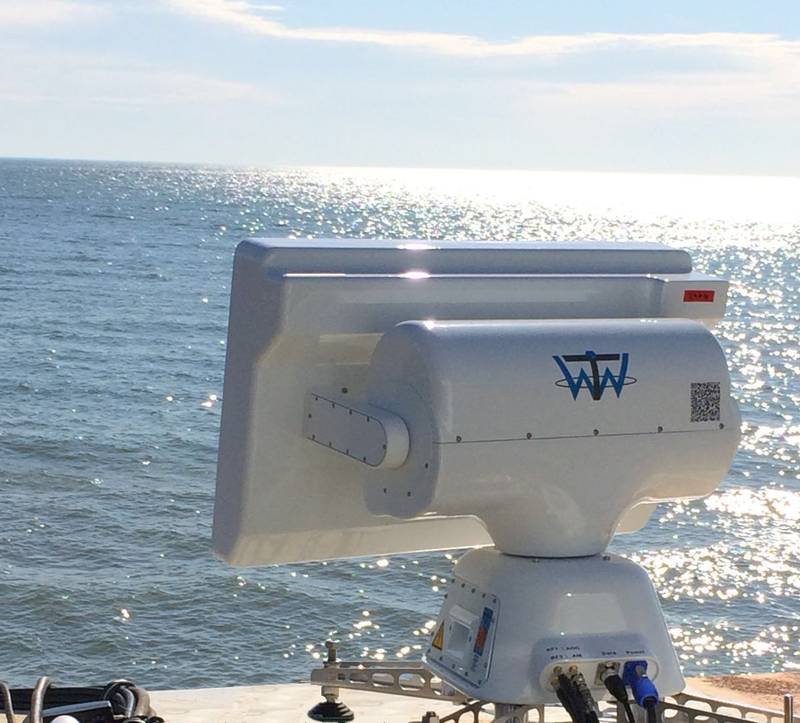 The WTW-LS 20 (Dual-Band), WTW-C 20 (Single-Band), WTW-X 20 (Single-Band) and WTW-LSC 20 (Tri-Band) and WTW-LSX 20 (Tri-Band) are a new generation of two axis Autotracking antennas. The unique design includes Smart Connected GUI. The antenna is IP64, therefore no Radom needed. An immediate calibration occurs after switching on the Antenna to set the absolute Encoders in both axis (no calibration drive needed). An Embeded Webpage controls the Antenna and allows up to 4 operators to look at the Antenna Parameters through High Speed Ethernet and/or secured WIFI with a PC, Laptop, Tablet or Smartphone. 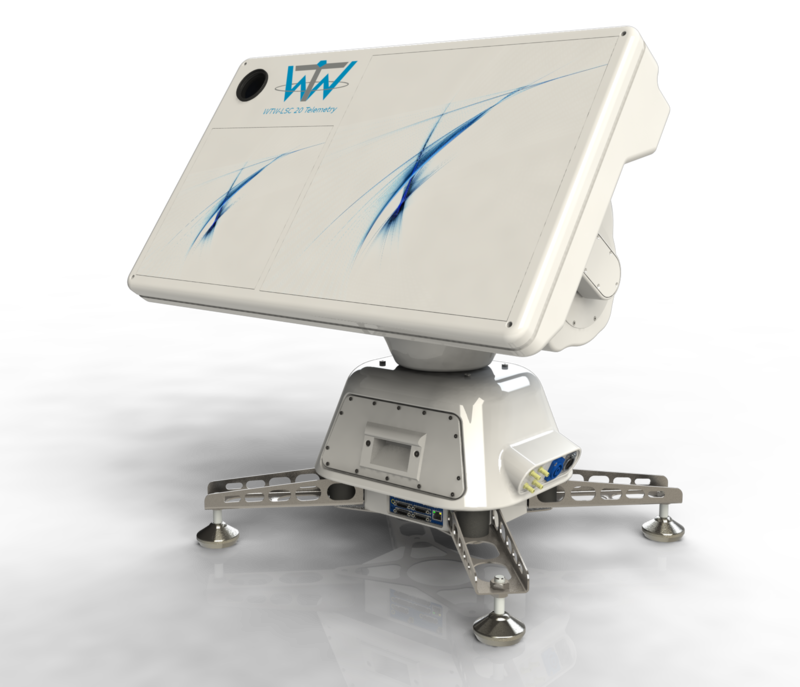 We developed the first 3D animated Antenna GUI in the world and we proudly showed it the first time at the ITC 2014 Show in San Diego and again in 2015 where it was officially launched in the USA and available through Rampart Defense Solutions for purchase. 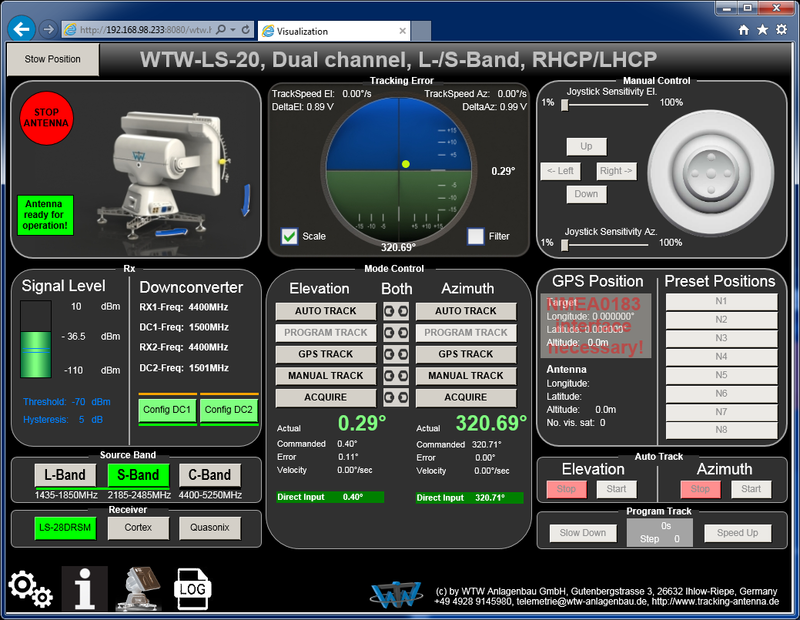 Also as WTW-CX 20 Dual-Band available. In the Video we transmitted a Signal on 5150 MHz and converted it down in the antenna to 2235 MHz. That Signal was going into our Single Chanel Monopulse Electronic and then the Sum-Signal to the Lumistar LS27 what is an optional part of the WTW-LSC 20 Autotrack Antenna.